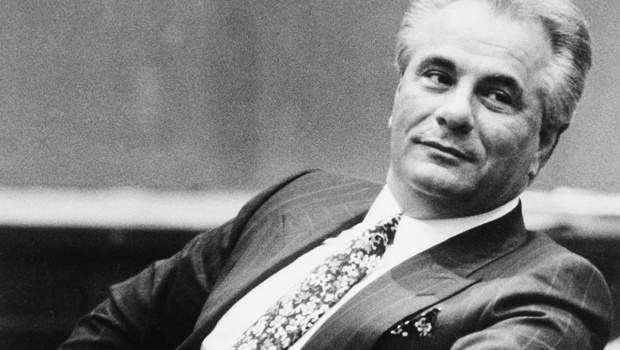 Joe Johnston, director of Captain America: The First Avenger, has signed up to direct the long-time-coming mobster biopic, Gotti. For the last two years, the film has been kicking around with everyone bar the Queen attached to star. Gotti once had Barry Levinson confirmed as director, Al Pacino as a crime boss, Joe Pesci as a ruthless gangster, Kelly Preston and…gulp, Lindsay Lohan as Gotti Jr’s wife. There’s no word on whether any of these supporting cast announcements still stand, but we do know that John Travolta will still star. This will be the second time Gotti’s life has been adapted for the screen. In 1996, Robert Harmon directed the made-for-TV Gotti based on the book The Last Gangster: Winning the War Against John Gotti and the Mob. Armand Assante took the role of the mobster boss. Filming on Gotti is set to begin in New York on September 9th.